Guernsey Raiders head coach Jordan Reynolds says some of his senior players must improve their performances after their 27-25 loss at Shelford. The loss leaves Guernsey in seventh place in National Three London. 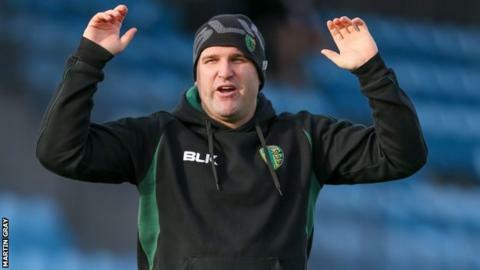 "Some performances just weren't good enough, especially from certain players who have been with the club for a long time," Reynolds told BBC Guernsey. "It's disappointing for the majority of us that we're working hard but we just got let down a little bit." Guernsey trailed 21-10 at half time before fighting back after the break to get a bonus point. "We only had to play 40% of what we did in the second half and we would have absolutely smashed them," Reynolds added. "We just didn't have our minds on the game, our hearts weren't in it in the first half. "If you make mistakes in the game it happens, but if it's lacklustre and they're taking it easy and letting others do the work, that's where it becomes a bit of a concern."